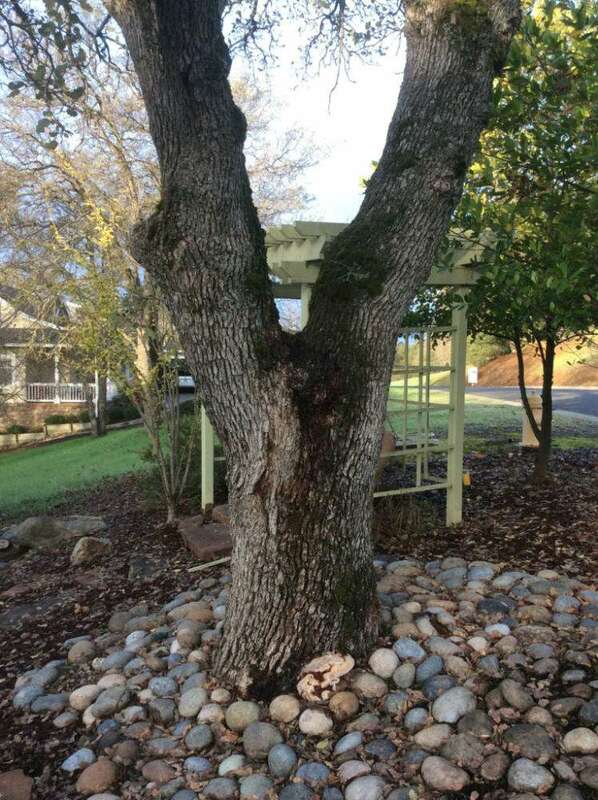 This blue oak, in Greenhorn Creek, Angels Camp, has a severe fungal infection. 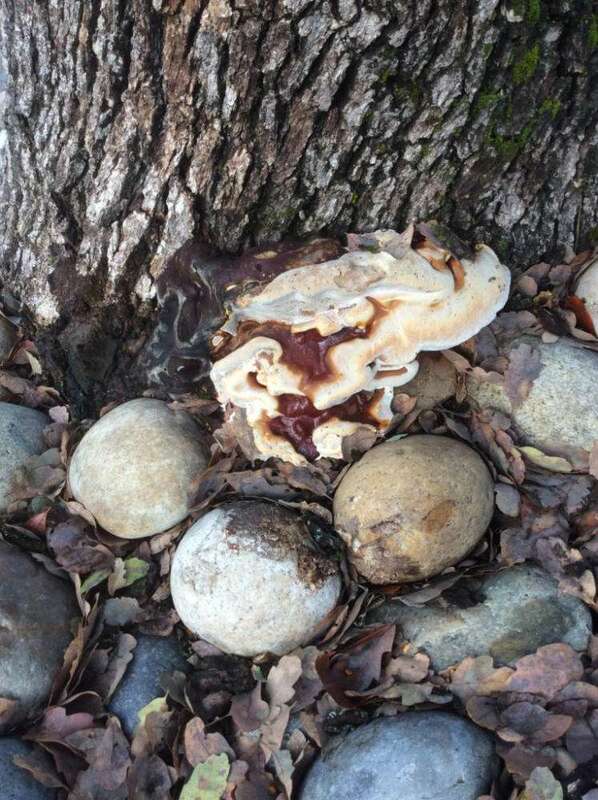 Scott thinks it is probably an oak root fungus, Ganoderma sp. 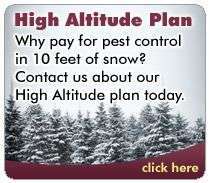 [see also page 128+ in A Field Guide to Insects and Diseases of California Oaks by TJ Swiecki. “Usually when you see the fruiting body, there is a good chance that the fungus has done a fair amount of damage and is now ready to move on (i.e. no more food). A few observations about the tree. 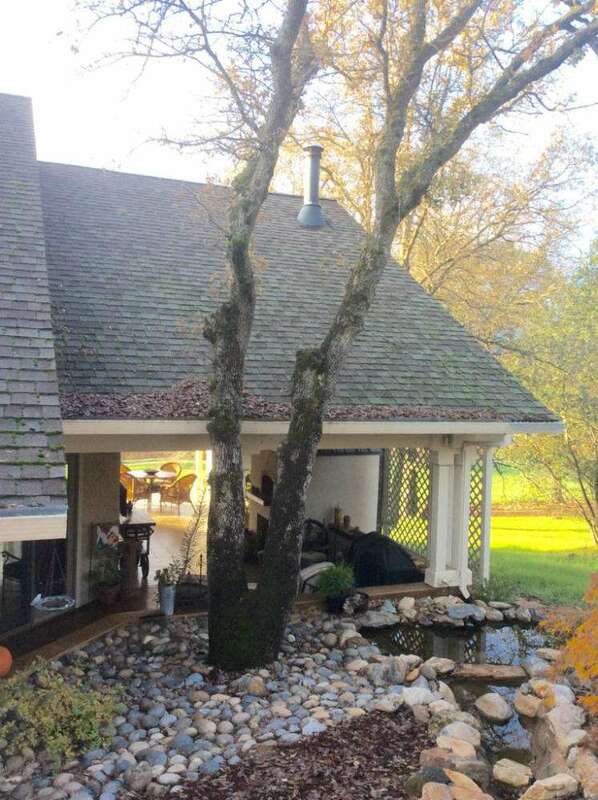 Tree is very close to house, so there was probably extensive damage done to the tree during construction including compaction of soil, trenching for foundation and changes in grade. From the base of the tree it looks the grade of the soil was changed. Usually there is a buttress around the base of the tree at the soil line. When the soil level around the tree has been raised, you bury the buttress and it looks more like a telephone pole. Oaks do not tolerate changes in grade well, so this along with the construction and trenching might have led to the root rot. The installation of the water feature also probably caused a lot of stress on the tree. In terms of the overall structure and form of the tree, it has two predominant leaders and as a result the crook of the branches is a natural weak spot. One of those branches should have been removed many years ago. 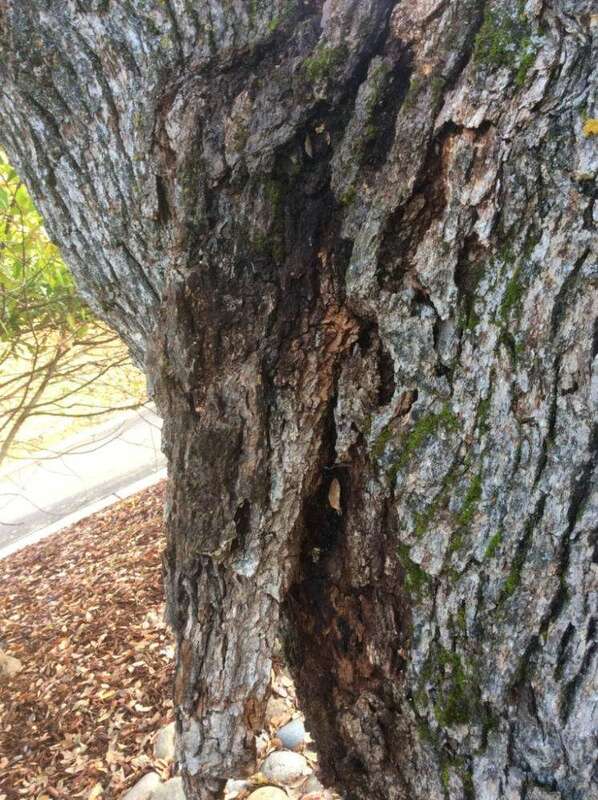 The crook of the branches is highly susceptible to cracking and splitting and also access to other fungi and bacteria. 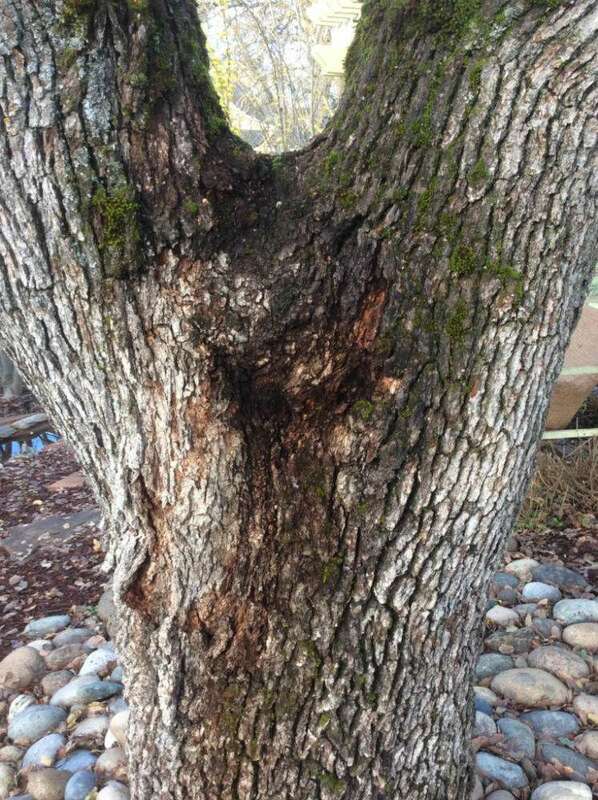 I cant tell for sure from the pictures, but there might also be some heart rot fungi in the branches. The photos, below, were taken by Paul Cooper, 29 November 2016.